Welcome to our 125 years celebration of the BERNINA company! We’re celebrating by bringing you lots of inspiration and today we’re focusing on basic sewing techniques for beginners. As a bonus we’re giving you the chance to win a fun prize package, scroll to the bottom of the post to find our anniversary giveaway! Sewing is an incredibly rewarding and creative skill to learn. When you know how to sew you have the ability to express yourself through things that you make. You can create personal touches for your home, conserve resources by remaking or mending clothing, give one-of-a-kind unforgettable gifts, design your own wardrobe, and feel an incredible sense of accomplishment for having made something yourself. 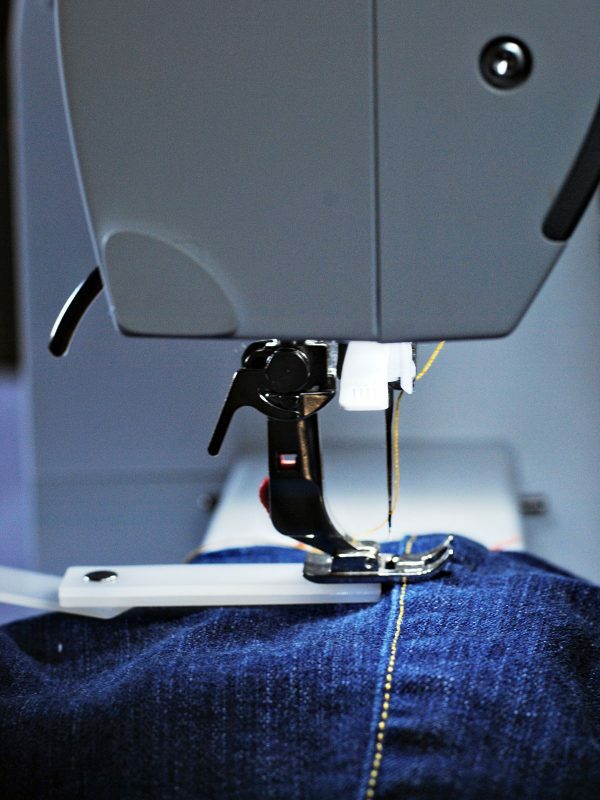 Let’s start with tips to use your most important tool of all, the sewing machine. Keeping your sewing machine cleaned and oiled will not only help your machine sew better, but will keep your machine running longer. 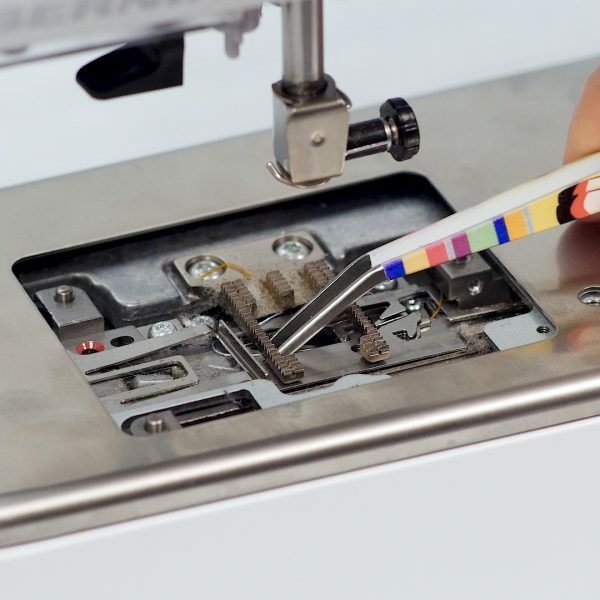 Click here to learn How to Clean and Maintain your Sewing Machine. 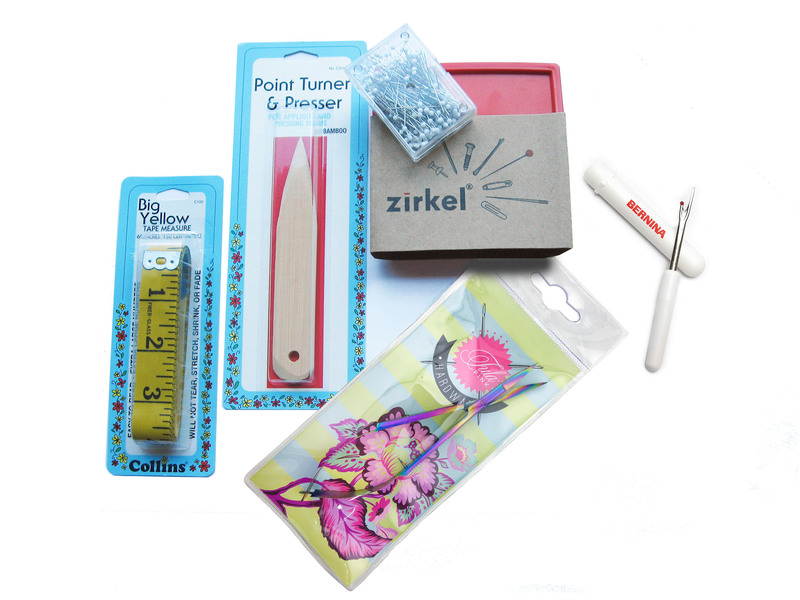 Your sewing machine needle has such a big part to play in creating your project. Learn All About Sewing Machine Needles including how to pick the right type and size for your project. 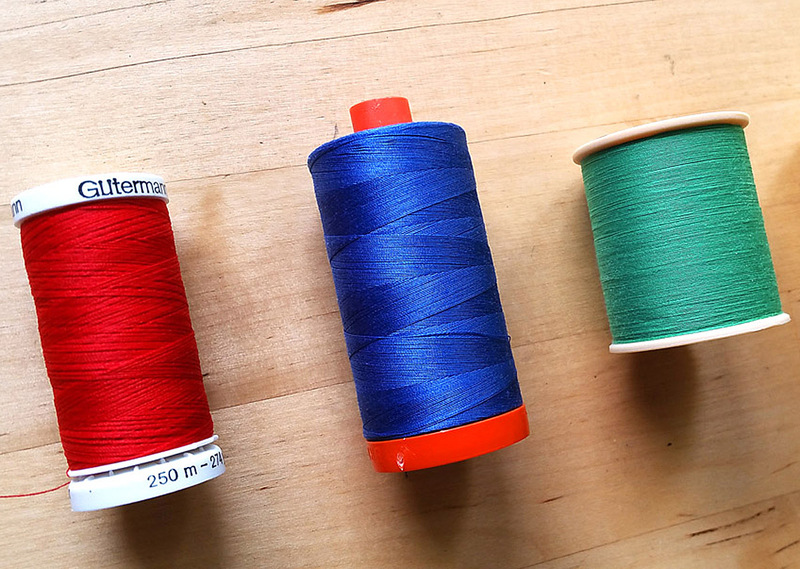 Thread spools need to be able to unwind freely to help feed through the needle when you sew. Find out where to place your thread in this Thread Spool Tip. There’s nothing worse that seeing skipped stitches appear when your sewing on a special project. Learn how to fix this issue with this informative article for Troubleshooting Skipped Stitches. 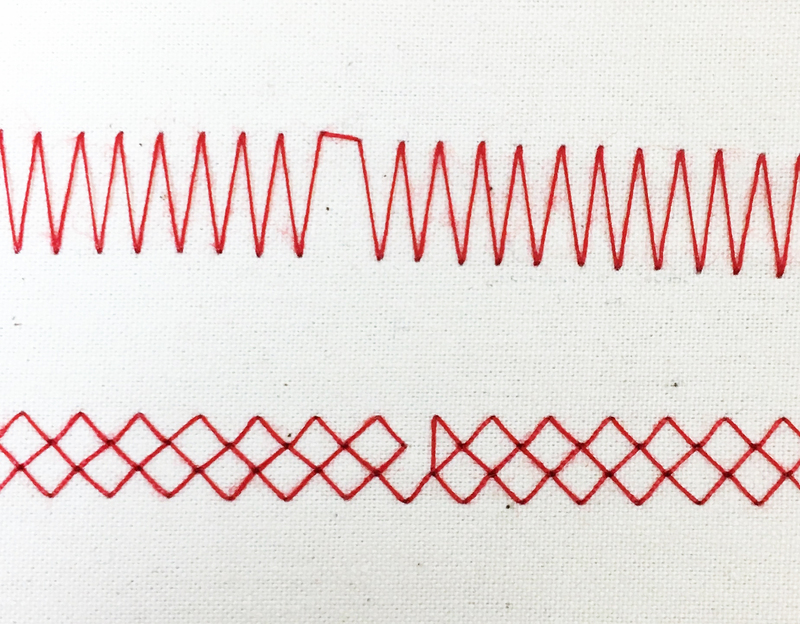 Do you know what all the built-in stitches look like on your sewing machine? 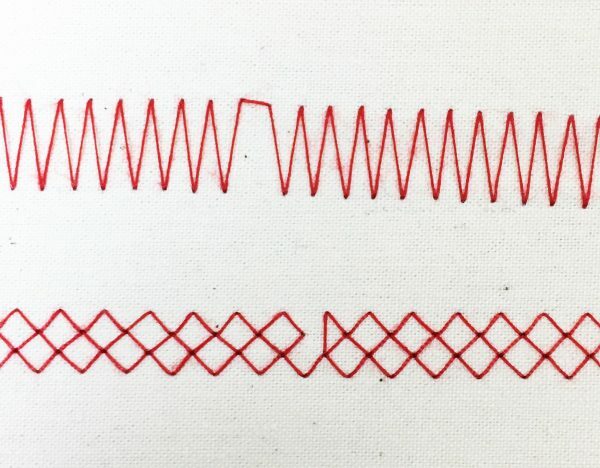 It can help to Make a Stitch Sampler Book as a beginning sewing exercise to help you learn about all the different utilitarian and decorative stitches you have at your fingertips. There are so many different types of presser feet and accessories to use along with your sewing machine, each with a different purpose. Knowing when to use a specific presser foot can help you complete sewing tasks more precisely and in less time. Some presser feet have been around since the invention of the sewing machine, yet BERNINA is still designing and engineering new presser feet to help you create in new and different ways! Learn a bit about BERNINA Feet Old and New and how to use them in this article. The BERNINA Free Hand System was developed decades ago as an effective aid to help keep both hands free while sewing. Learn how you can save time and leave your hands free with this tip to Speed Up Your Sewing With the Free Hand System. 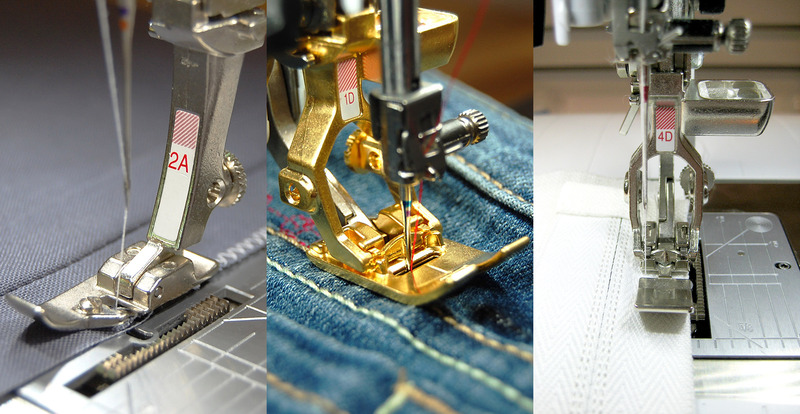 If you’re learning to sew in order to make your own clothes, then you definitely need to know all about the Best Feet for Garment Sewing! 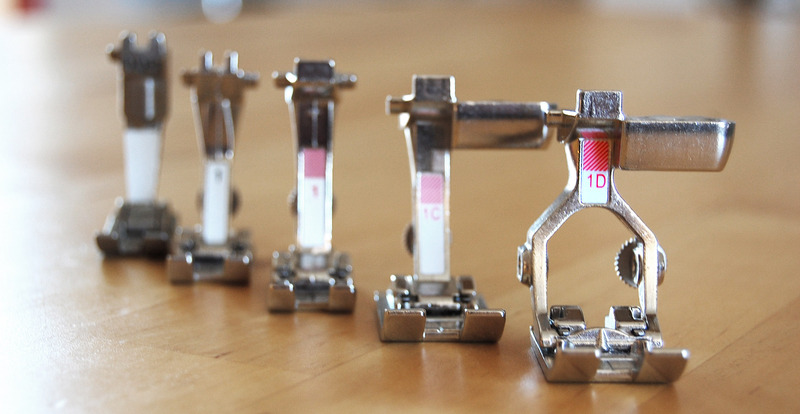 Each of these presser feet is a must-have for creating beautifully finished hand made garments. 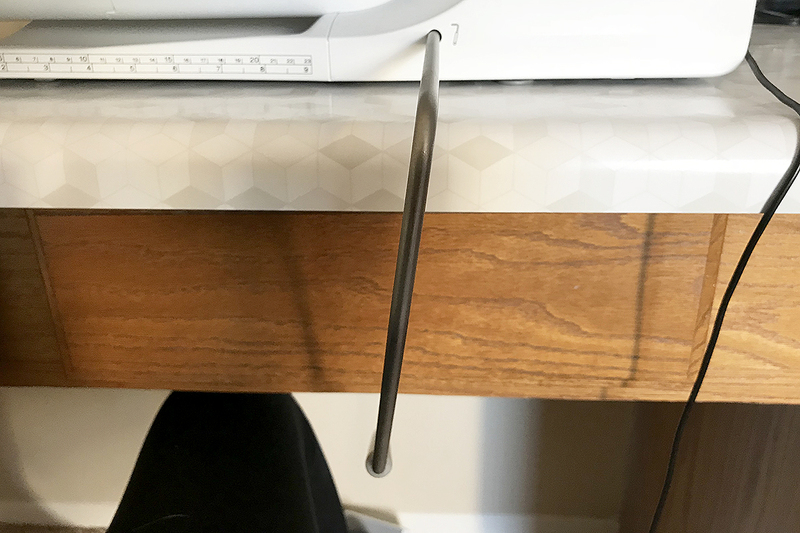 Here’s one little tool that you definitely don’t want to live without if you plan on sewing with heavy weight fabrics like denim. Affectionately known as the “hump jumper,” the Height Compensation tool will help you sail smoothly over thick seams or bumps. Learn How to Use the Height Compensation Tool here. If you want to learn how to sew patchwork and how to quilt, click here to find out about the Best Feet for Patchwork and Quilting. 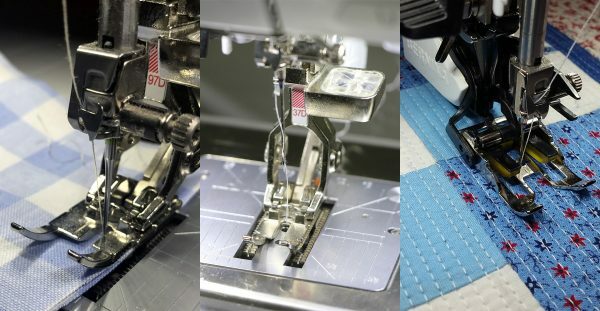 These feet can help you sew a precise quarter-inch patchwork seam and help keep your stitches smooth and even when learning how to free-motion quilt. Keeping your sewing area organized can actually help you sew better when you can quickly find the sewing machine foot, accessory, notion, or tool that you need when you need it. 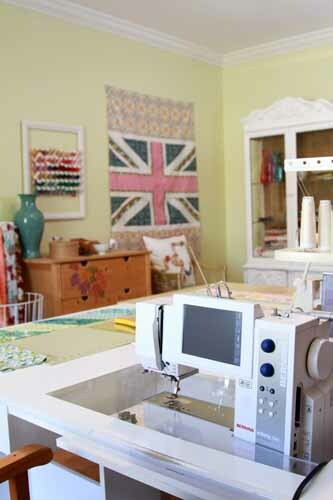 Find inspiration to help you organize around your sewing machine and sewing space with tours of experts! 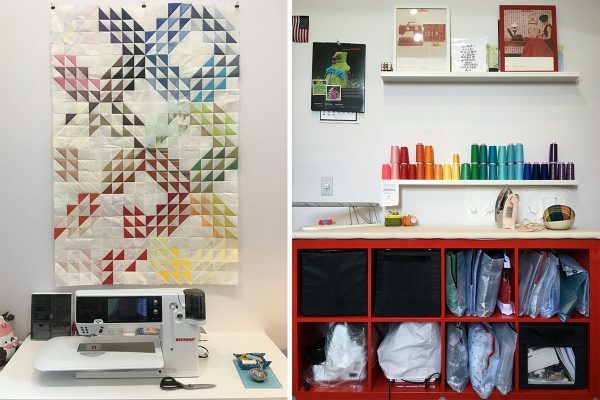 Visit BERNINA Educator Jaime David’s sewing studio (pictured above) to see how she organizes multiple projects. Check out how fabric designer Pat Bravo keeps things organized in her own personal sewing room. 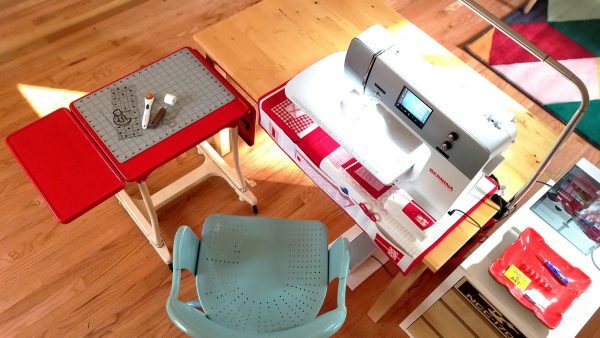 Visit BERNINA Ambassador Erika Mulvenna’s studio to see how she organizes tools and notions in her sewing space. Check out the headquarters of Colette Patterns in Portland, Oregon to see how a professional pattern making studio keeps things organized. For even more sewing room organization inspiration click over to our WeAllSew Pinterest page to see our Sewing Room Organization board! July 125 Years Golden Anniversary Giveaway! One lucky WeAllSew reader will win this fantastic prize package including one red Magnetic Pinholder and box of pins, one point turner and presser, one tape measure, one BERNINA seam ripper, and one Tula Pink Hardware 5″ EZ curved thread snip, with a prize package value of over $60.00! All you have to do is post a comment below and answer the question, “Do you remember your first sewing project when you learned how to sew?” The the giveaway is open through July, 25 2018! The giveaway is open to residents of the 50 United States and the District of Columbia. One comment per fan. Comment must be submitted to the WeAllSew.com blog by July, 25 2018 at 11:59 PM Central Time. Winner will be chosen randomly. Winner will be notified by email and will have 48 hours to contact to claim the prize. My first sewing project at 10 yrs old was doll clothes! My very first project, with my grandmother’s help and encouragement, was a pair of green plaid elastic waist pants. I picked out the fabric and she helped me step by step, understanding the pattern pieces and cutting out, stitching the pieces together on the machine, and pressing. It was surprising to have an actual pair of wearable pants that I had made myself! I sewed a purple skirt with turquoise flowers and an elastic waistband. I modeled it at the Nez Perce County Fair in the 4-H fashion show. Back somewhere in the 1960’s, when I was in 7th grade, I learned to sew as part of my local 4-H club. The first thing I sewed was a pillow made with 2 washcloths, a piece of trim, and stuffing. That project earned me a red ribbon at the county fair. My first sewing project was a jumper. I actually wore it! My first quilt project was a tied quilt with 5/8″ seams. I made a nightgown when I was probably 13. Been sewing ever since. I sewed Barbie clothes. In seventh grade home ec, we made a bib apron. Bean bags. Dozens and dozens of bean bags. My Grandma taught me to sew and she sewed a lot so she had a huge box of scrap fabrics which she gave me free access—cottons, corduroy, satin, velvet, polyester. I sewed all shapes and sizes and filled them with dry beans. I was 6 years old but can still hear her on the phone to my Grandad saying, “Edmund, you better bring home more beans.” (My Grandad owned the mercantile in a small town of 200 people.) She nurtured the creative bug in me by allowing me to sew all those bean bags with free abandon. I moved on 63 years ago under her guidance to doll clothes and then my clothes. What a gift she and sewing have been to me. My first sewing project was an apron in Home Ec class. It wa a number of years before I had a sewing machine of my own. It all began when my mother told me the big secret of how to make the seams be on the inside of garments: right sides together! I was 9 or 10, and I quickly progressed to making doll clothes and making my first gathered skirt in 4-H. Haven’t quit sewing since! Made a green sun dress with a gingham top and attached twill skirt. The neighbor lady taught my sister, her daughters and I how to sew. My first project was hemming a feed sack dish towel. I first learned to sew on a treadle sewing machine and I still like that machine. I have a Bernina 820 and it is certainly the difference in night and day from the machine I began with. My first item sewn on a sewing machine was a gingham check apron with drawstring tie made in home economics in 7 th grade. I loved making it and was so proud. My first sewing project was a pair of slacks for myself. I was so excited that I was making myself something. The only problem was that I sewed the front legs to each other and the back legs to each other! Ha! looked more like a shirt than pants. It is a good thing they make seam rippers. I started sewing when I was 9 years old (many years ago), my grandmother helped me to make dresses for my dolls. But my first “solo” experience was as a junior in high school. I made two tops and two skirts (interchangeable) for my H Economics class. I loved the experience! I know it was more exhilarating than learning to drive. Ever since then, sewing is my passion. My first sewing project was in high school using Simplicity 7497 pattern. I still have the pattern and saw a jumper like this a year ago in a department store. The pattern cost 65 cents in 1965. My first project was a red and white apron with bib. Sewed on a treadle machine. My first real sewing project was a wrap skirt that tied on the side. I wore it proudly. My first sewing project was a baby quilt for a friend. I learned to sew using you tube and later purchased a used Bernina. But it is practically new since it had only been used once. I think my first quilt came out so pretty. That was 3 years ago and since then I have done 6 other quilts for my family. My first sewing project was making diapers for my Tiny Tears doll when I was 6. For a first project, I attempted a simple peasant dress—it was the 1960s. The resulting garment was so ugly, I wore it as a nightgown. I was in a summer school sewing class after 8th grade. My project was a simple pullover blouse and elastic waist short set. I was an over achiever and with my grandma’s help, made a matching wrap around skirt and jacket after class ended. I was introduced to the world of sewing by my grandmother. While she sewed, she always let me pick out buttons and sew them onto a piece of fabric by myself. 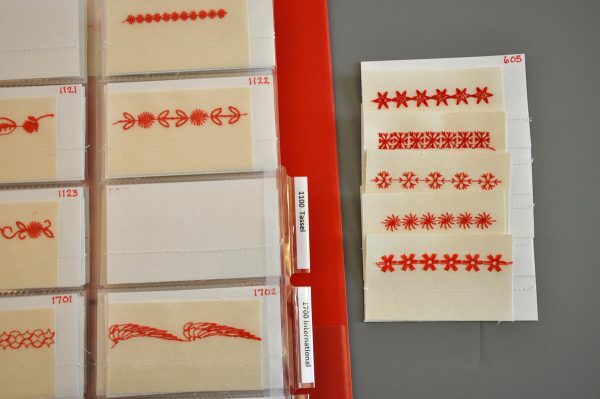 Having my own needle and thread was a very important task when you are as young as 3 or 4 years old! Of course, my first total outfit was in high school when there was still such a class as home economics. I was always credit my grandmother for my love of sewing though. She always kept my fabric pieces covered in buttons. My first project at home was when I was in grade 7. I sewed a jumper in nylon corduroy. When finished I wanted to give final press…. oops! Forgot to use a pressing cloth and melted a hole right on the hip. What a disappointment but also a good learning experience! My first sewing project was a gathered skirt that my mother helped me and my girlfriend, Patty, each sew. My mother had so much patience with both of us! My first sewing project was an apron made as a 4H project. First project was barbie clothes for my sister. Grandma was there each stitch of the way. Once i began to sew…have never stopped. I made Barbie clothes. I was around 9 or 10 years old. Mom helped me with a simple gathered skirt with a waistband and a snap closure. Mom never told me that I needed to make something simpler so I never knew the fear of trying new sewing methods. Sweet memories! I was 6 years old and my grandmother had a treadle machine I learned to sew on, Made doll clothes for my raggedy Ann doll. Learned to sew straight, sewing sheets bed sheet, which were worn in the middle, she would tear them down the middle and I had pleasure of sewing the outsides together, and making a straight hem on the meddle outsides..I have sewn ever since. My first sewing project was an elastic waist skirt made with floral print feed sack material. I was with my family in Michigan in the mid-1950s. We lived on a farm and purchased animal and chicken feed in feed sacks made with printed fabric meant to be used for something useful, like sewing! Feed sack material was perfect material for my first sewing project, which was a 4-H project. Along with my 4-H instructor, my mother helped me. It felt so good wearing that skirt, and knowing that I had made it! 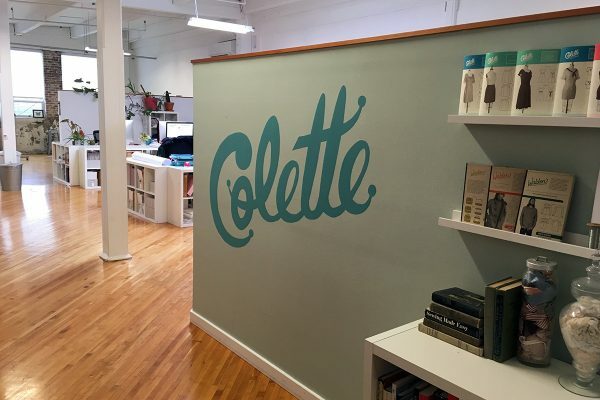 It gave me a real sense of self-confidence and self-reliance knowing that I could sew and make something wearable. My first project was a skirt that I put together without permission or a pattern. Fortunately, my mother’s reaction was to teach me to sew. My first seeing project was a ruffled pink gingham apron in 7th grade home economics. We used old treadle Singer sewing machine. I think looking back it was a model 15. I still hope to get a treadle machine someday. Not only was it economical for the school, but I think they thought we would get in less trouble going slowly. They have never watched the Amish machine piece a quilt with their treadle machines–they died asking. But as 13 year olds we took it slowly to start. My first sewing project was a ruffled pink gingham apron in 7th grade home economics. We used old treadle Singer sewing machine. I think looking back it was a model 15. I still hope to get a treadle machine someday. Not only was it economical for the school, but I think they thought we would get in less trouble going slowly. They have never watched the Amish machine piece a quilt with their treadle machines–they speed along. But as 13 year olds we took it slowly to start. My first sewing was a red print top and solid red pants. How I loved that outfit! And I was 20 years old. Still at it at 66! My sewing project was a gathered skirt and a pullover top in home economics class when I was in junior high school. My daughter made a sweatshirt in a Jr Basics serger class when she was nine. I was about 8 years old when I started learning with my mom. She has helped me become the seamstress I am today. My first project was a little pillow for my dolls. It was a very simple project and I am sure not exactly right but I remember it well and I was so proud of myself. It started a lifelong passion for sewing. Manipulating fabric as I call it. Doll clothes… and a blouse in third grade. My first project was a denim skirt when I was probably about 8. No pattern and it didn’t turn out well, but I persisted! My twin sister & I received a child’s Singer sewing machine when we were very young-made doll blankets with it. Over 65 years later, I still have that tiny machine, and stll hooked on sewing!! My grandmother kept me busy sewing scraps together when I was a child. She also taught me how to hand embroidery. My first project to make was a flannel nightgown. The rest is history. I’ve been sewing since then. Whenever I got stuck on a project Grandma was always there to guide the way. When she passed I was married with children and I was given her portable Singer sewing machine and her sewing case. I treasure them both and all the memories that go with it. My first sewing project was when I was 7. It was a green apron and I did embroidery on the pockets. I can remember sewing dresses for my own Barbie doll. Not long after that, my first big project was a set of Raggedy Ann and Andy dolls. When I asked Mom what I should stuff them with, she suggested the leftover pieces of foam carpet pad from a new carpet just being installed. I used little shreds of fabric for most of the body, but I tore the carpet pad in tiny pieces to stuff the dolls’ legs. I still have the Raggedy Ann and Andy dolls, complete with my embroidered signature and date on the dolls’ backsides. My first sewing project was a tin man Halloween costume for my four year old! Must have done a good job as his grandmother didn’t even recognize him! My first sewing project was a peasant blouse in seventh grade home economics class. I won’t say what year that was, LOL! When I was 10, my mother hired a teenager in our town, who sewed her own clothes, to teach me to sew. It was a wonderful experience! My first sewing project was a triangular head scarf! Never wore it, but it was the beginning of many years of sewing, quilting, teaching 4H sewists, etc. My first sewing project was in the 1980’s in my Homemaking class taught by Mrs.Tucker. I was 12 years old and she taught us how to make a patchwork bag with a drawstring. I just bought my a Bernina 590. I’m so excited!! My first sewing project was in 9th grade home economics class, many, many years ago. I made a laundry bag that hung on a clothes hanger. This is a hard to answer question because my grandmother taught me on my great grandmothers treadle machine when I was probably 6? She used to let me embellish her towels, pillow cases, etc. as well as make pillows and many other projects. There were so many magical feet! I was amazed when she taught me to use the rolled hem feet. Then after she had me work on a tiny rolled hem on a long piece of fabric (she was German and it had to be PERFECT,) she introduced me to a ruffler foot !!! WOW!!! That long strip of fabric became the ruffle on a pillow she had me make. The first electric sewing machine I worked on was in 7th grade home ec. We made wrap around pants. Remember those? And we made bean bag frogs. I still have the frog but got rid of the pants when they went out of style. I still have and use my grandmas treadle sewing machine. It brings back many memories of summers spent on the farm with my family. When feeling nostalgic, I like to piece quilts on it and it’s great when the powers out. I also love working on my Bernina 830. There are sooo many things it does that my great-grandmas treadle that straight stitched never dreamed of. My first sewing project was a blue dress with tiny yellow flowers and a white peter pan collar. It had a white placket with 3 yellow buttons on it. I wish I had a picture of it. I was 10 years old. My cousin Susan is the one who taught me to sew and helped me make the blue dress. She was 16 at the time. Many years later when I was 22 I made her wedding dress. My daughter was a flower girl in the wedding and I made her dress as well. I was and still am proud of those 2 dresses. My first sewing project was on my Moms Elgin Machine. I made a gathered yoke dress with wide lace on sleeve bands and across front of zippered dress for my sister. She was in 2nd grade and wore it to school and one of the boys in her classroom cut the front with a pair of scissors and she never wore it again! Absolutely! It was in 1969, HomeEc class and we all made a “Pencil” skirt (as the teacher called it). Tight fight, zippered back and lavender in color! My first project using a sewing machine was a drawstring bag with pockets to hold my curlers when I was in junior high. That tells my age! Who uses curlers anymore? My first project was in middle school when I had to make a circular skirt. It was done all by hand and when it was almost finished, I left it on the bus on the way home from school. My mother helped me buy more material so I was able to recreate in a darker blue pattern the circular skirt needed for class. My teacher was so impressed with my diligence, that she took me to the principal to crow over my creation, which I was wearing for class display! A positive ending to a difficult situation. My first project was last year! Sewing is new to me, and I just started quilting this year. My first project was to make a sewing project bag! The first real project I remember making completely by myself was a pink pique dress with a square yoke which won me 3rd place while I was in 4-H.
My first sewing project was an apron in 7th. grade Home Ec. class (do they even have that anymore?) One rectangle, for the skirt and one smaller square for the bib, and two long pieces to form the ties. I have no idea, now, how large these pieces were that we cut, but my classmates and I thought this was so difficult to make! What’d we know??? At age 9 or 10 I made a “cobbler’s” apron with the help of my mother and a neighbor! Then a year or two later I “modeled” a shirred-waist skirt on our local PBS station which I made in “Home Ec” class! I remember I took a quilt class to force myself to use the sewing machine I bought new and had stored for 8 years! I learned to sew, and also became a quilter, and have had so much fun since. My first sewing project was doll clothes! My first project on my own was in home ec we made an apron. My mother sewed both the girls clothes I never had anything bought ready made till I was a teenager and I bought a skirt with my own money and my Mother told me to take it back or put it in the garbage it was not fit to wear. I soon realized she was right and have been sewing since,but my true love is machine embroidery and creating artwork with it. My 1st project was an easy summer swim suit coverup. Really learned alot quickly with that project! My first project was in Home Ec. I made a simple skirt and a tote bag. My grandmother would make her grandchildren clothing and I loved to sew. I have been an off again on again sewer for years, but it is ON now. I was about 7 or 8 years old and I made Barbie clothes. I sewed them by hand, as my mom wouldn’t let me use the machine at that point. The neighbor gave me some old fabric, and my mom showed me how to cut out a pattern, although I pretty much knew how from watching her. My mom sewed all the time! I sewed rick-rack on the edges so I wouldn’t have to hem the Barbie clothes. I actually still have those Barbie clothes. My first sewing project for 4H was a table cloth, napkins and a matching apron. It is 64 years later and I still have them. My Mom would let me make a practice project and then the real project. I always got an A because I could see where I needed to improve and nobody got a chance to discourage me. She was very smart. As a result, I love to sew every day.